Meet the softer, gentler side of New Jersey Gov. Chris Christie. Just weeks after New Jersey lawmakers passed a bill that would establish a program offering medical treatment instead of jail time for nonviolent drug offenders, Christie, a possible vice presidential contender, praised the measure during a speech in Washington, D.C.
"If you're pro-life, as I am, you can't be pro-life just in the womb. Every life is precious and every one of God's creatures can be redeemed," Christie said during a wide-ranging Monday morning address at the Brookings Institution, a public policy research organization. "But they won't be if we ignore them. ... I believe that the results will show, after this is fully implemented, will be startling because people can be treated and miracles happen every day at these facilities. Lives are restored." In a move that sets Christie apart from the many Republicans who take a hard line on drug enforcement, Christie predicted that the recently passed measure, which mandates drug rehabilitation treatment for first-time nonviolent offenders, would be a success. He added that drug abuse should be considered an issue of "disease" in the eyes of the law, and not a criminal one. "The real reason to do it is to understand that addiction is a disease and that we need to give people a chance to overcome that disease and restore dignity and meaning to their lives," he said. "That's not a Republican or Democratic issue. It's a bipartisan issue that we accomplished this year." 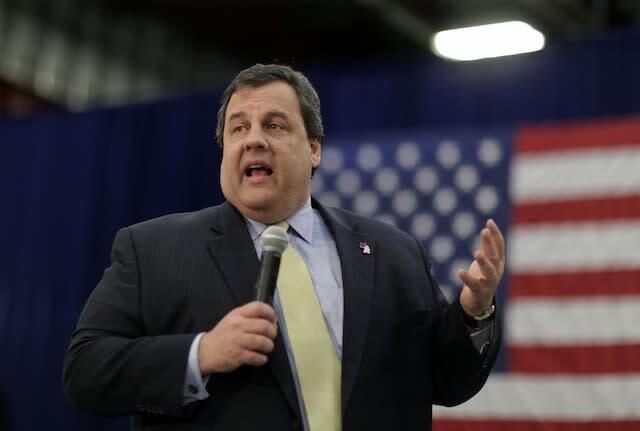 During his speech, Christie also spoke about his efforts to balance New Jersey's budget and overhaul the state's public employee benefits system, but it is relatively rare for a Republican governor to discuss drug reform efforts during a trip to Washington. While the move does not put him squarely at odds with presumptive Republican presidential nominee Mitt Romney, the former Massachusetts governor does not speak often about the issue. (A spokeswoman from Romney's presidential campaign did not immediately respond to a request for comment about Christie's initiative to offer treatment to drug users.) Christie and Romney have both opposed decriminalizing marijuana, an action 17 states and the District of Columbia have already taken despite federal laws restricting possession and distribution. Christie has vowed to veto legislation that moves to decriminalize or legalize the drug, and Romney has also said repeatedly he does not support loosening federal marijuana laws. "I think marijuana should not be legal in this country. I believe it's gateway drug to other drug violations," Romney said during a May interview with a CBS affiliate in Denver, Colo. "The use of illegal drugs in this country is leading to terrible consequences in places like Mexico and actually in this country. I oppose legalization of marijuana, I oppose legalization of other kinds of drugs." "Those are state issues," Romney, who appeared uncomfortable discussing the topic, said after the interview.